Well, maybe not COMPLETELY heel. Us lovers of the Flying Goat will never actually boo the man. Heck, for the three weeks in which he rocked a trashman’s jumpsuit reminiscent of Duke Droese and went by Daniel Wyatt, Bryan still got the love. But there is so much joy in his impending return to in-ring competition that Vince McMahon cannot help but throw us an old-fashioned “shwerve”. The union of Danielson and “Thanks Dad” Shane-O-Mac is going swimmingly in their grudge match against Kevin Owens and Sami Zayn. Shane instructs Bryan to do the top-rope headbutt onto a prone Zayn. Bryan, realizing that Shane cares nothing about his health and is merely pawning Bryan for McMahon satisfaction, instead hits Shane with a missile dropkick. He locks in Cattle Mutilation (oops, that was PG-13… I meant Yes! Lock), cementing his alliance with Steen and Generico. And we love him just as much for it. This has been about two years in the making. 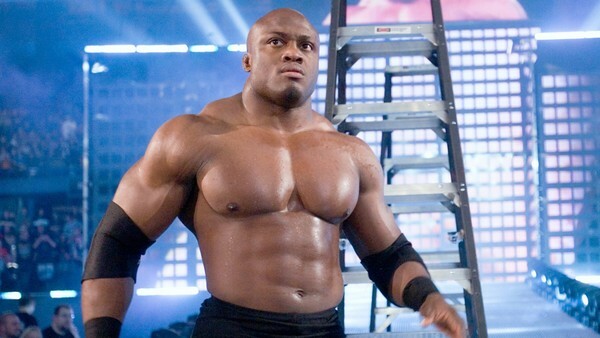 As mentioned in a previous rendering by yours truly, Lashley is unlikely to ever be entrusted with another top title reign. But the Andre The Giant Memorial Battle Royal has a few missing spots to fill. Yes, Big Cass has been cleared after tearing his ACL, but the return of Big SkinnyFat is hardly going to pop the crowd. Especially if he comes out to his original solo music, which hopefully has received the ET The Atari Game treatment. Yes, it will likely be Goldust’s final match, but that should have happened in a singles match instead of a joyless elimination at the hands of Curt Hawkins. If Drew McIntyre is still on the shelf, this is close as booking should get to a shocker here in the Royal. Behold, The King Of Cruiserweights! On the surface, a face vs. face match between Cedric Alexander and Mustafa Ali is a great showcase for a re-worked Cruiserweight Division. Below the surface, this is a result of a utter lack of dominant heels. Jack Gallagher is a natural heel, but hasn’t equalled the reaction he got as a Marty Scurll wannabe face. THE Brian Kendrick was the recipient of Hideo Itami’s final GTS, and got a broken orbital socket for his trouble. Itami would be a great candidate for a Triple Threat Match, but his lack of promo ability leaves him undefined. This is a prime spot for an insertion of 205 royalty. Neville has not appeared for any other promotion since his walk-out in October, and is still under contract with WWE. His insertion into the match may also solidify GM Drake Maverick as the kind of GM that Vince loves, Vince-lite. There are just too many pieces in place. Samoa Joe is ready to come back to competition. The Miz just name-dropped Seth Rollins’ former alias of Tyler Black. Roderick Strong has impressed at each step of his gradual ascension (NO, this is not about THAT Ascension! ), yet has no program to work with. Kassius Ohno has acknowledged his “worldwide” past as Chris Hero. Adam Pearce is gaining more television time of late as an agent. And with Bobby Fish’s injury forcing a relinquishing of the NXT Tag Titles by reDragon, Adam Cole and Kyle O’Reilly are treading water as Undisputed Era. 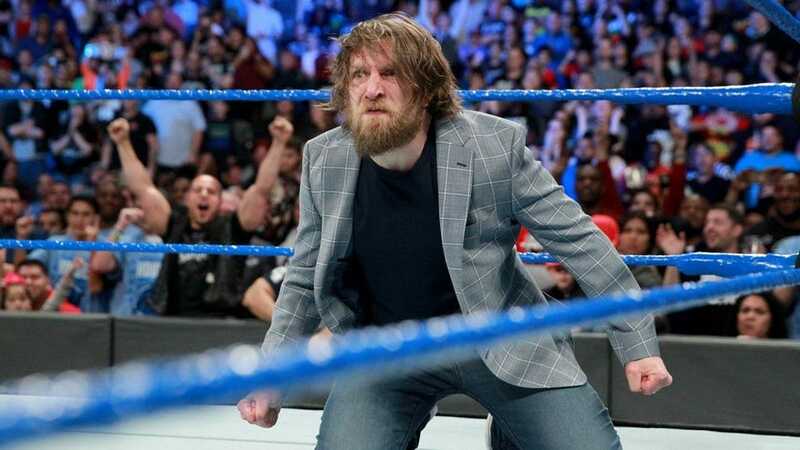 If Daniel Bryan has enough confidence in his immediate future to lead (along with KO and Sami Zayn) a dominant force of Ring Of Honor alums, WM XXXIV is the ideal moment to finally solidify a true invasion of WWE. Granted, the former employers of the previously names will have to go unrecognized. While New Japan gets love from WWE announcing teams, Vince still instructs them to verbally omit promotions not readily available to view for $9.99 a month. Ideally, the invaders should somehow affect the Battle Royal to cement Joe’s victory in his return to the ring, then interfere with the Raw Tag Team title match to gain the inclusion of Cesaro (f.k.a. Claudio Castagnoli, Hero’s former tag partner in The Kings of Wrestling). I doubt a run-in would be necessary in the main event of AJ Styles vs Shinsuke Nakamura, but the recognition of the rebellion by the ultimate ROH mainstay in Danielson instantly gives Invasion 2.0 credibility. If my dream of an ROH invasion cannot be brought to fruition by the Power That Is, then at least let the biggest regret of WWE Developmental be welcomed back with open arms. How Bill DeMott failed to see the immense potential of The Cleaner just goes to show how woefully incapable of training talent he was. After leaving Deep South, Omega tore up the indies until he arrived on the scene in NJPW. He became fluent in Japanese (a rarity for gaijins), cementing his legitimacy and securing main events in future Wrestle Kingdoms. Along the way, he rose through the ranks to become the unquestioned leader of Bullet Club. Vince has tried to WWE-ify Bullet Club, christening it as Balor Club under the leadership of Finn Balor. Additionally, WWE has trademarked the “Too Sweet” hand gestures, and slapped Bullet Club members with Cease & Desist orders in hopes of lowering merchandise sales. Omega will be in New Orleans during Wrestlemania, performing two days before against fellow Bliz Cliz leader Cody Rhodes to “bury” their feud. While Balor Club needs no new leadership, Omega brings instant rapport with main-eventers like Balor, Styles, and Nakamura. If Rollins was willing to scrap his Kingslayer knee strike to allow for Omega to use his V-Trigger finisher (of course, the name will have to be PG-ized, similar to Shinsuke’s “Bomaye” to Kinshasa), there is no reason that Omega is not already signed!